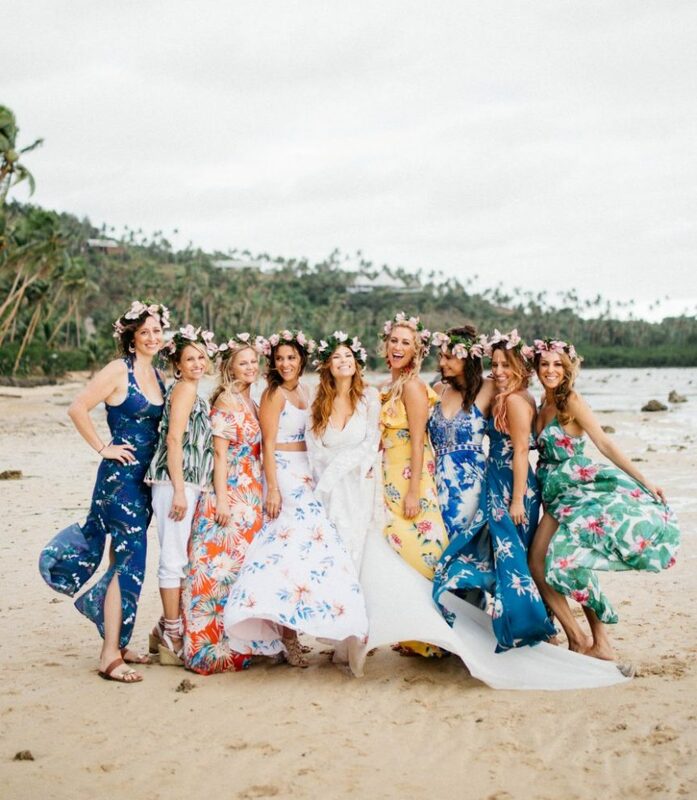 Okay, the obvious – a romantic beach wedding offers the chance to get away from the hustle and bustle and relax in a sunny place with your loved ones. An outdoor location is also perfect for a blissfully laid-bak day, with soft sands and blue skies making a glorious backdrop for photos. Plus, your guests will have somewhere fabulous to hang out while you’re off having photos taken between the ceremony and reception. One last lovely reason – celebrating on the beach means you’ve got a gorgeous setting for your honeymoon if you’re looking to just roll straight into holiday-mode. It’s important that you consider the logistics first. 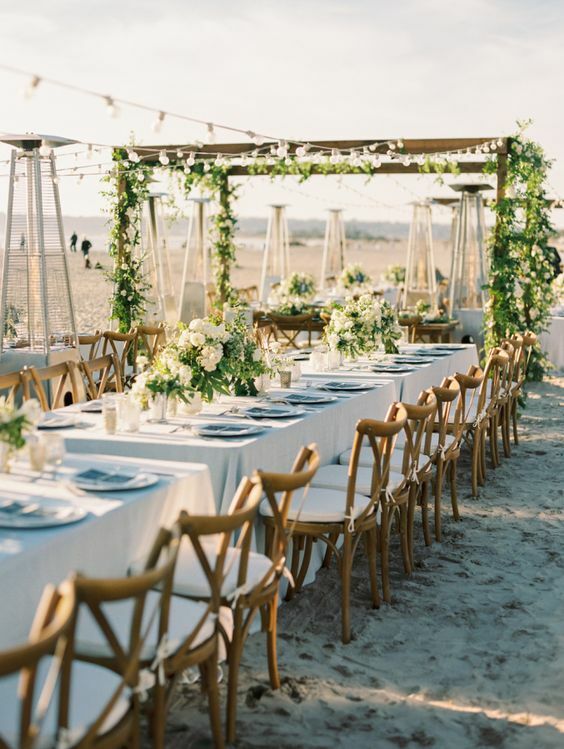 At a summer beach ceremony, make sure your friends and family (especially any older guests) are taken care of with seating, shade and refreshments. Set up a cute water or ice tea station, or see that a bottle of chilled water and a sweet fan is left on each chair. 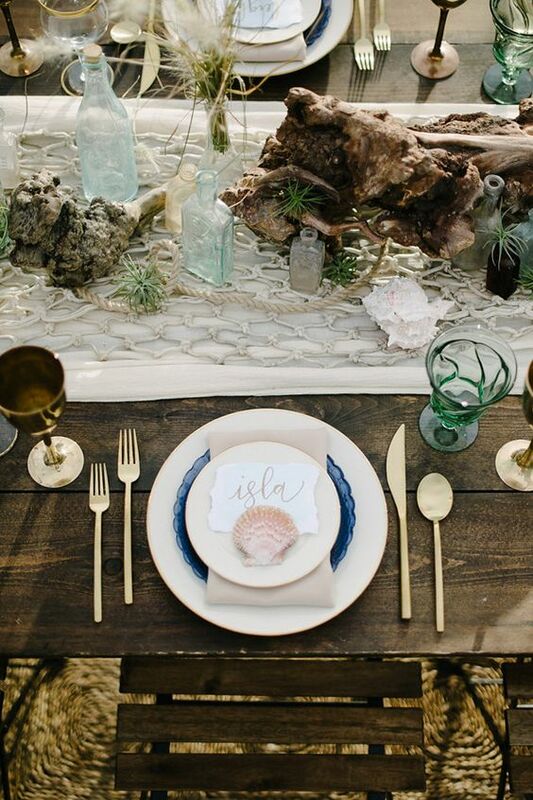 For creating a gorgeous relaxed look, carry the beachy feel from the ceremony to the reception by decorating tables with glass jars and hurricane vases filled with shells and flowers, anchored with sand. A coastal setting call for a clean colour palette with white as the base and touches of blue, sea foam green, pale pink and peach as an accent. 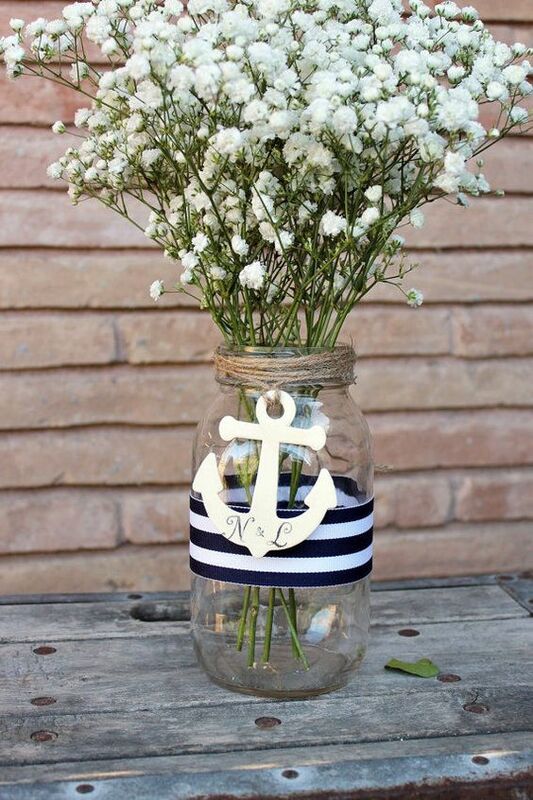 Think white-washed chairs, white or ivory flowers and flickering tea-light candles or lanterns. If you’re a dedicated water-baby, consider hiring a boat for your arrival or enquire about booking a part of a pier (if there’s one at your chosen destination) for pre-reception drinks for your guests. Unpredictable weather like rain and strong winds can be the trickiest aspect of planning a beach wedding. The best way to approach things? It’s not ideal, but having a backup plan is incredible important. Think about nearby parks that offer shelter or check with your venue about their wet weather ceremony options. Ensure you have best contacts for all your guests to alert them to any last minute venue changes. 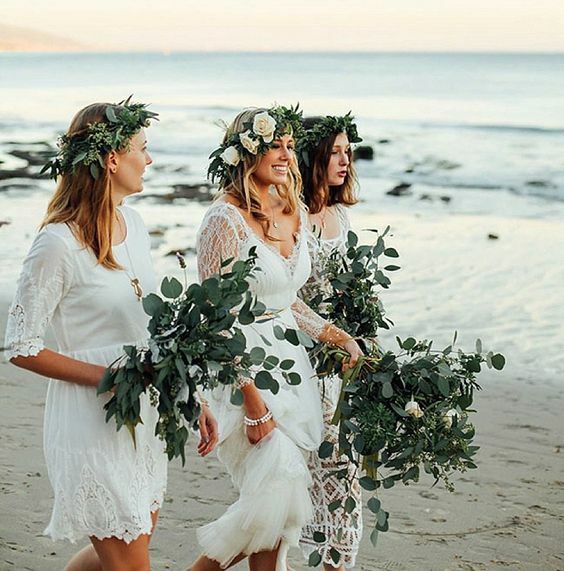 Dreaming of a sunset wedding? Timing is <everything>, so ask your celebrant or photographer to suggest a time-frame and see how they can make the most of those precious minutes. Most beaches will require a permit. Contact the local council to make sure you have all the documentation and keep a few options in mind just in case you don’t get the green light. You should also check to make sure there are no big events being held on the same day as your wedding – like a triathlon! And don’t forget that beaches are public places, so you might have a few spectators on the day. 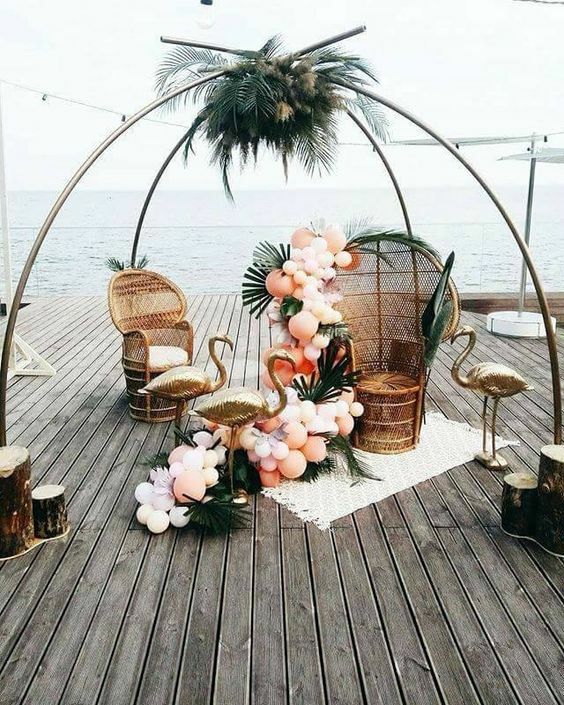 Unpredictable weather, like rain and strong winds, can be the trickiest aspect of organising a beach wedding so be sure to have a back-up plan. Think about nearby parks that offer shelter or check with your venue about their wet weather ceremony options. Ensure you have best contacts for all your guests to alert them to any last minute venue changes. If you’re planning a sunset wedding, timing is everything so work closely with your celebrant and photographer to ensure you make the most of those precious minutes. Access: Older guests in particular will appreciate an easy walk to your ceremony site. 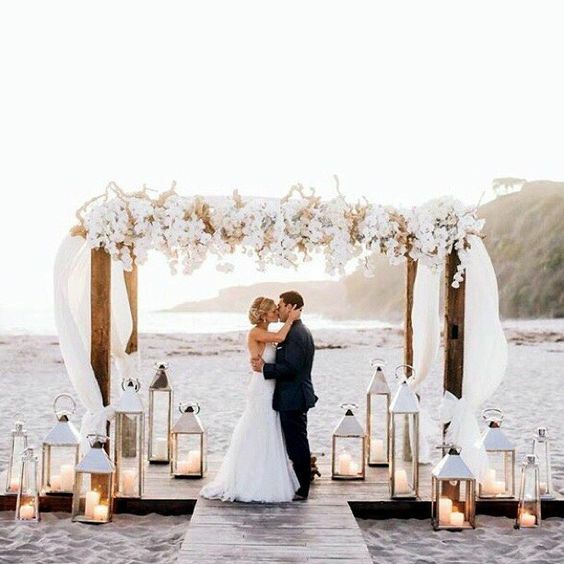 Sun care: If your ceremony is going to be in the full glare of the sun, parasols are a fashionable alternative to hair-destroying hats and pretty fans will help keep guests cool. A sand ceremony can add colour to the formalities of the day. Not familiar with the custom? Both the bride and groom, and members of their families pour vials of coloured sand from the beach into a slender glass vase to signify the joining of the two families. 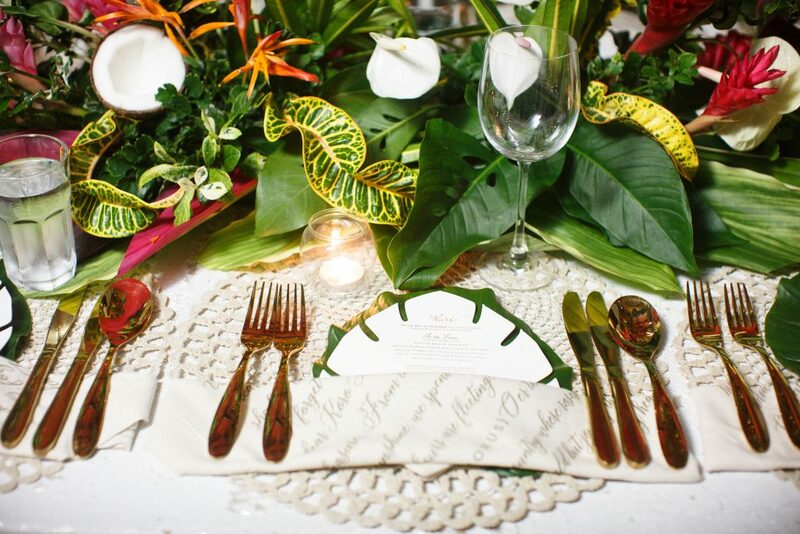 Traditionally included in Thailand weddings, it’s makes for a lovely keepsake that you’ll treasure for years to come. 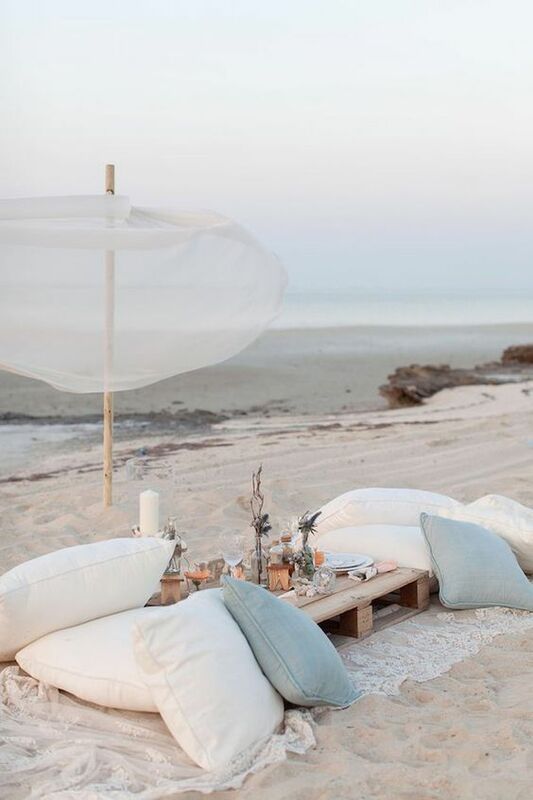 Head over to our beach style files for more ideas and style inspiration by the sea.